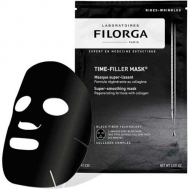 Improves and reduces the appearance of pores. 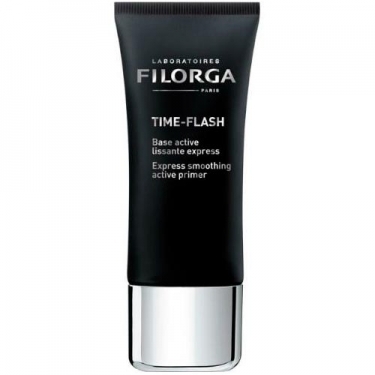 DESCRIPTION: Time Flash Base Active Lissant Express from Filorga is a dual action smoothing primer that helps smooth and refine skin texture. It contains in its formulation an infusion of microfloc softfocus, Lift & Blur technology (AH and NCTF Lifting Flash), hexapeptide and fennel for an optimizing, reaffirming, broaching, anti-wrinkle, refining, stimulating, redensifying and softening action. 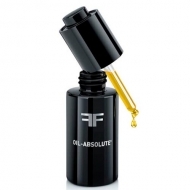 Refines and improves skin texture. Ideal for all types of irregular skin, with visible wrinkles and pores. Can be used as a make-up foundation.